Yesterday’s piece about actual Moneyball and translating certain elements to football was extremely well-received. It also helps explain one of the key stats I’ll be looking at when fishing for potentially undervalued attackers for the next week or two. Today, we turn our attention to France. Ligue 1 likely has the lowest talent level on the whole of the big 5 leagues, but obviously there are plenty of players there waiting to be found, both in the form of value prospects as well as interesting statistical anomalies. We’ll start with one of the best attacking midfielders in Europe this season. Chelsea were alleged to have been interested in buying him two seasons ago (what?!? Chelsea interested in a young player who produces lots of assists? ), but he stayed in France and moved to Lille for about £8M. He’s taking a ton of shots this year, and his efficiency at putting shots on goal has taken a hit because of it, but the production numbers in general are great. 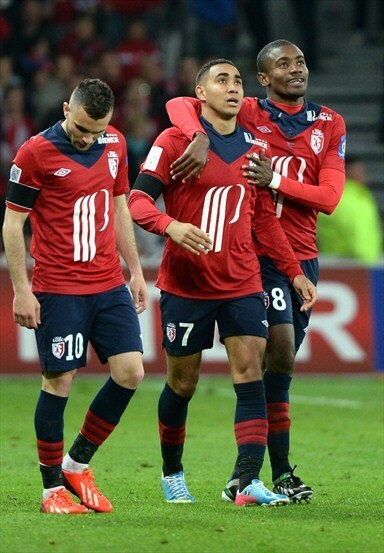 Lille aren’t going to be in the Champions’ League next season, so there’s a decent chance he could move again, probably for £18-22M – there aren’t many midfielders in Europe who can match the output he had this season. If teams had pounced five years ago when he produced 4G/9A in only 23 league starts, they could have saved themselves bags full of cash. Meet one of France’s most statistically interesting prospects on the left wing, and one of their best young attackers, period. Still only 23, Mollo produced 3G/6A in half a season in Ligue 1 last year, and has kept that up this year with 7G/11A in 31 starts. The passing stats here are a small concern, but given the fact that he operates as a real winger, and slings in crosses regularly, that can probably be forgiven. Everything else here is good, including nearly identical production from increased games. The Key Pass numbers are among the Top 5 in France, he’s a fairly adept dribbler, and the improvement in dispossession + turnovers per game is outstanding. The stats suggest he’s talented enough to fit into almost any team and that he can continue to improve. Given that he’s relatively unknown and that Fulham are rumoured to be interested, you might even be able to sign him for £10-12M. First things first – Feret is 30. Why are we talking about a 30-year-old? Because he’s interesting. Four years ago, Feret put up a 5G/9A (I’d tell you more, but I only have detailed stats for the last two seasons). Three years ago he had a 6G/6A. Last year it was 8G/11A in 33 starts. This year 11G/6A. I don’t know if he’s a head case or if he doesn’t work hard enough on defense, but those numbers are good enough for most clubs in the Premier League to be interested. Two years ago he moved to Rennes for a whopping £3.5M, a number that is affordable by basically everyone, including Wigan. Fulham couldn’t have used this guy? Villa? QPR? Norwich? He plays in France, so scouting is easy, you don’t have to worry about a work permit, and there’s even a reasonable chance he speaks some English. This one should have been easy. That’s a big number… let’s see just how good Cabella looks in the stats! 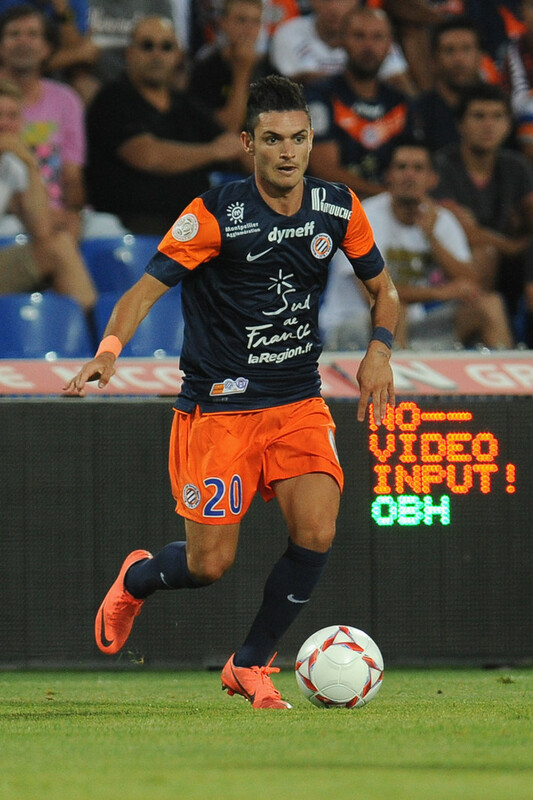 Remy Cabella. Image from Zimbio. He’s the same age as Mollo and definitely a more Arsenal-like prospect (the team that are rumoured to be in for him), in that his passing percentage from an attacking player is pure silk and he’s very tidy with the ball. Is he worth £85M? Obviously not. Is he worth £15-20? Probably. I don’t think you’d be making a huge mistake by buying Cabella at this point for £20M, but I also think there might be cheaper prospects available that can give you the same production. Then again, players with this level of passing sophistication are often prized by the top sides and it might be worth it for them to pay the extra and land the guy they want. Next Time: Four more from France, including a look at how Boudebouz stacks up.